We all know that Mycroft is reffered to as "The Queen" in A Scandal in Belgravia. Am I the only one who felt uneasy when Culverton Smith gave his little speech about the Queen possibly being a serial killer hiding in plain sight? Being untouchable? Just translate Queen to Mycroft in this scene in your head, it just fits chillingly well. Surely this is done on purpose don't you think? Could be even foreshadowing, if it turns out that Mycroft is a baddie in TFP (or maybe we or Sherlock think for a while that he is). Although I hope we keep Mycroft on the good side and above all I hope he will be kept alive. I have a very bad feeling about him staying alive. English isn't my first language, feel free to correct me via PM! I think our British Sherlockians here said that Jamie Savile was friends with royalty too so it might have been a RL reference. But you are right, the description would fit Mycroft chillingly well! I think it might have been a reference to Mycroft not as a serial killer per se but a person with a dark secret that nobody really wants to acknowledge. Dark secret is very likely - as we know, some government members know something, and no one else (BTW, John was very intelligent, to ask for secret sibling in the room, full of Mycroft's subordinates ;) ). I wonder, how much Sherlock knows. 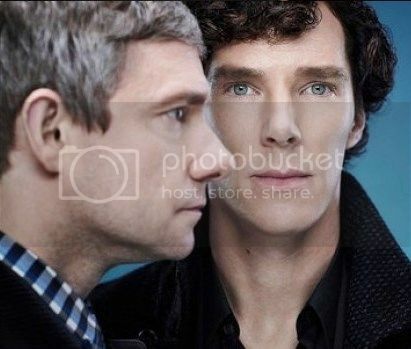 I'm not sure Sherlock remembers much, if anything, about his sister. I think something traumatic happened when they were children (remember the Redbeard scene and the two children playing pirate?). I get the feeling they were very close but something terrible occurred that sent Eurus away and that traumatized Sherlock horribly. Mycroft may or may not have had a role in this but I think Mycroft has spent his life trying to protect his brother from this event, teaching him to suppress and forget his feelings and that caring is never an advantage. Mycroft won't turn out to be a serial killer or villain or be killed in TFP. At worst he is a misguided older brother who thinks his iceman ways are best for hi brother; but I think we will see the depth of love that Mycroft has for Sherlock (and visa versa) in this episode. That's my hope anyway. Sadly, I'm hardly ever correct, LOL. And I said "dangerous" and here you are. You. It's always you. John Watson, you keep me right.